Before you get your home connected to the National Broadband Network and book an NBN technician, there are certain questions you need to ask yourself: Is your home NBN Smart Wiring ready? Do you want a specific place in the house where you want your NBN Modem installed? Have you decided where to put your WiFi Router for mobile devices to have the best WiFi connection? Are you ready to have an NBN Smart Wired home? With this type of connection, the NBN Modem on the wall is the only point you have to directly connect your personal computer and phone landline or hard-wired via Ethernet Cable. Also, it is the sole point you have to connect your WiFi Router to for all the Mobile Devices you have. This also requires you to have a power point near at hand. If this site or the location of your WiFi Router does not give you a strong connection around your house, installation of Smart Wiring Points or data points and Phone Points in your preferred area is the most suitable way to get the best possible NBN Service you deserve. 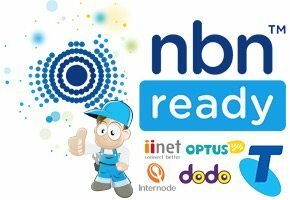 There is no need to hire an NBN Technician to get connected because all you need is an NBN Modem from your preferred service provider. The modem plugs straight into an existing phone socket in the home. Also, an instruction booklet is provided to give you the steps on how to connect to the NBN. Aside from this, the options you have are the same with a Fibre To The Premises connection. Still, you have to make a decision where you want the Modem to be installed in your home. However, you are given more options to utilise any phone socket in the house. You may also decide to have one installed in your preferred area. However, you must remember that the moment you have plugged your NBN Modem into an existing phone socket, other phone sockets in your home will fail to work as a Phone Line. The same goes to a Fibre To The Premises connection. For it to work, your home phone has to be plugged into the modem. There is a need for a rewiring or smart rewiring if you want to have your phone placed in another location from your modem. Smart Wiring covers your networking cabling and all types of cabling in your house – from all your TV Points, Networking Cables, Security Cables to any kind of automated system you want or have at home. Needless to say, Smart Wiring your Networking cables from your NBN Modem is a wise decision. Also, it will be a perfect setup for future expansion if you want to expand your Smart Wiring in your home. Do I want my computer “directly wired” to the Internet? How many rooms do I want to be connected directly to the office, my kids rooms, Smart TV and other parts of my house? Where do I want my Phone land-line located and how many points do I require? When incorporated with a hub or central location where all your data or networking points meet, Smart Wiring is a very flexible system. It is a great addition to your home. As your needs grow, Smart Wiring allows many unplug and plug changes. 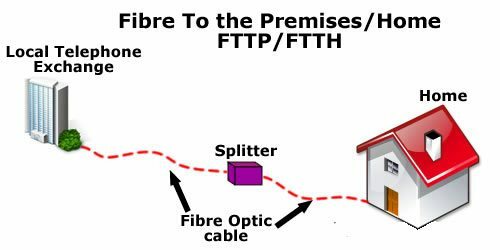 In order to take full advantage of superfast broadband speeds for all your digital needs at home, you need to decide how you want your home Smart Wired, whether the NBN in your area will be Fibre To The Premises (FPPP) or Fibre To The Node (FTTN). Doing so can upgrade your digital experience at home. 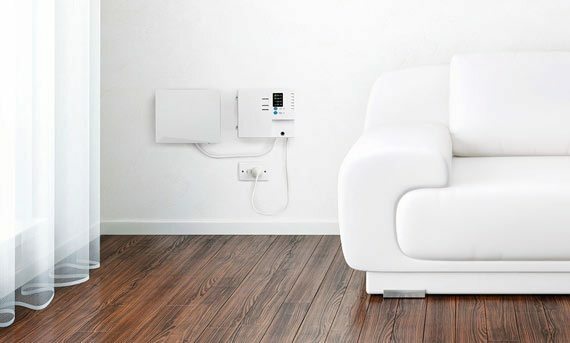 If a Fibre To The Premises connection is what you want for your home, ask yourself where you want to place the NBN Modem and Backup Power Supply. The NBN Technician will usually locate the Modem right on the internal wall where the current copper phone line in your home comes out of the ground at the external wall. If the internal wall is located in the kitchen, main living room or your kids room, this can lead to major disadvantages because these places are not the most suitable location for the NBN Modem. 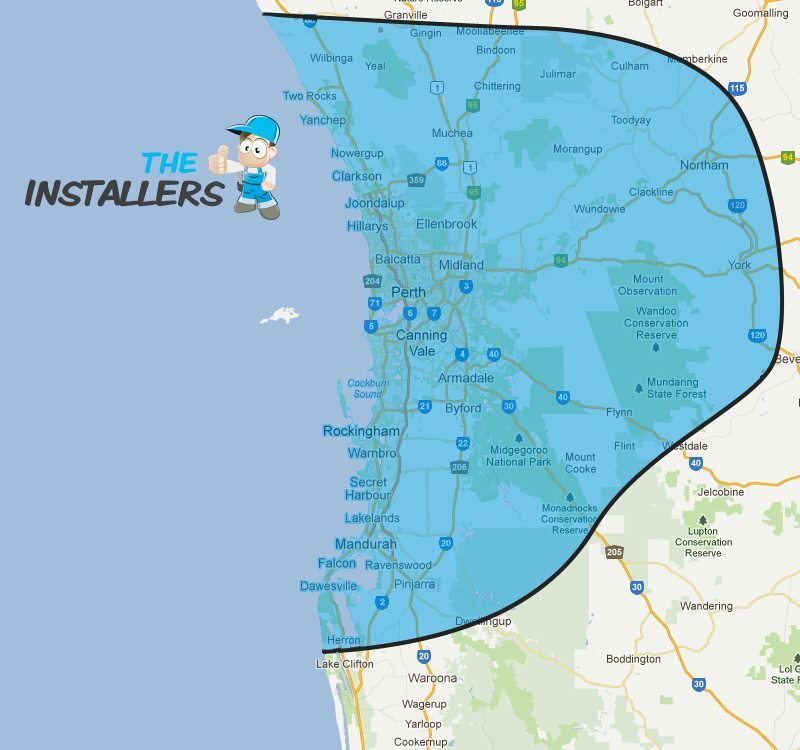 Although this problem can be addressed, you cannot rely on the NBN Technician to do the internal works in preparing and allowing the NBN Modem to be fitted in your preferred location. The cost and task required for such job is solely yours since it is not included in the Free NBN Connection Service. This means that you have to check your current copper phone line and where it meets the house. You also need to inspect if the room behind this wall is an appropriate site for your NBN device. There is a need to do a re-wiring or smart wiring of your current phone line if your home has a Back To Base Security Alarm System and or Medical Dialler. Regardless of your NBN Service Provider, your home phone points need to be connected to your new NBN Modem. In addition, a backup power supply is also needed in case of Blackouts. If you have a Fibre To The Premises connection at home, this won’t be a problem at all. As your NBN Service Provider, opt for Telstra. Request for a separate Landline Phone connection. The Technician will install an NBN Modem with two NBN Phone Points and a backup power supply. What we can do is simply connect back into your home’s current phone wiring and turn it into an NBN Phone Line. There is no need to worry at all. Nowadays, most security systems and medical diallers are designed as analogue based systems. They still work through the Modem. However, it is advisable to ask your service provider about this. You need to know that this problem may occur if you are connected via Fibre To The Node or choose a different NBN Service Provider. 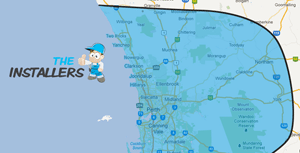 If you are connected via Fibre To The Node and choose another NBN Service Provider other than Telstra, the phone points on the NBN Modem will fail to work because they are only provided to Telstra Customers. The NBN Phone Line you have at home will only work if it’s connected to the Modem supplied by your Service Provider. And here’s a little warning! These modems do not have a Backup Power Supply for Blackout situations. With this, your new NBN phone line will die, causing your Security Alarm and Medical Diallers to dial out when a blackout situation happens. This is certainly a situation you’d want to avoid. Before you choose a particular NBN Service Provider, it is best to ask them if they can supply a modem backup power supply. If they can’t, your alarm system and medical diallers will fail to connect Back To Base in case of a power outage. Smart Wiring is one of the other options you may consider before connection. Smart Wiring can give you the best speeds out of your NBN Service, whether you opt for a Fibre To The Premises or Fibre To The Node. It is therefore a good option to consider. Whatever your decision is or requirements are, The Installers can do it for you. If you need advice to get your home NBN ready and Smart Wired, we are just a phone call away. Contact us today: (08) 6244 5188.